My addition worksheets are available for classroom, home school, or personal use free of charge. Here you'll find addition concepts organized into different categories. 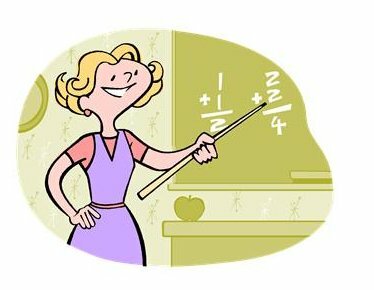 You can find math subjects ordered by grade level using the tab at the top of the site. If younger children are having trouble with any of the worksheets, you may find it helpful to review the counting worksheets I made or print out these number lines to use a quick reference when adding. I've also created many math tables and charts that can be used as a guide alongside the worksheets. There are hundreds charts and addition fact tables that are great for children just beginning to learn addition. You can find them and the counting papers under the "More Math Lessons" section at the bottom of this page. Click on any image below to see worksheets in that category. Many of the tabs are self-explanatory, but there are a couple essential lessons that I'd like to highlight. The addition facts unit has printable fact sheets for the numbers 1-9. If your child is just starting to learn how to add, I would recommend printing these out for studying. The printable number line is a valuable resource for beginning addition skills. It will help your child to visualize simple math problems. The rest of the worksheets are pretty straightforward. There are a few printables that your child might find fun like the math mazes and the addition table worksheets. Adding with dice is another fun way to introduce the subject with your child. You could even get out a set of dice while going through the worksheets and take turns rolling numbers and adding. Addition doesn't have to be repetitive facts and numbers. There are fun ways to add too. Below are a couple of ideas to make math a little less like work and a little more like play. is an easy game where you take turns circling numbers that add up to ten. There are currently four different game boards you can print.